"One of Scotland’s best singing exports"
Ed Miller has been hailed as “one of the finest singers to come out of the Scottish Folksong Revival” and as “One of Scotland’s best singing exports.” Originally from Edinburgh, he has for many years been based in Austin, TX where he gained graduate degrees in Folklore and Geography at the University of Texas. 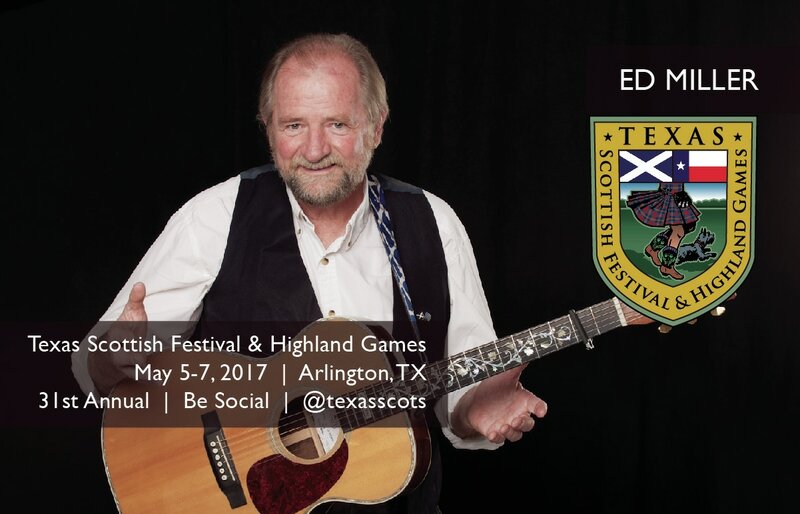 Ed is available for concerts, clubs, house concerts, festivals, Highland Games and Burns Suppers, as well as for lectures and workshops. He has recorded 9 CD’s of Scottish songs. Ed also leads annual tours of Scotland, putting an emphasis on visiting the sites and locations made famous though Scottish music.